As a gory painting discovered at a house in France is pronounced the real deal, Kelly Grovier looks at how we can spot a fake. Trust your gut. In art, as in life, thinking is overrated. These are the unexpected messages vibrating from the surface of a painting that has sparked considerable debate this week: a canvas salvaged from the damp rafters of a house near Toulouse in southwestern France. 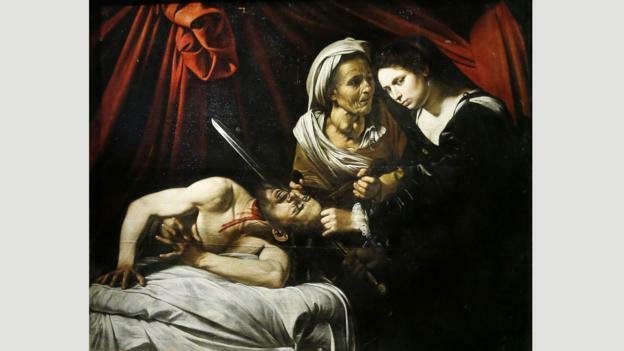 Sophisticated examinations are being carried out to determine whether the controversial painting – which depicts a gruesome scene of decapitation from the apocryphal Book of Judith – is likely a lost work by the Italian master Caravaggio, and therefore worthy of a price tag north of $136million (£96million). Some specialists believe it to be authentic, and an export ban has been placed on the painting to ensure it remains in France. The rift that the so-called “Caravaggio in the attic” is creating among experts coincides with the 30-year anniversary of a dust-up that rocked the art world in 1986, when the J Paul Getty Museum in Los Angeles, California provocatively unveiled a statue that was either a two-and-a-half millennia-old masterwork or just a fake a few months’ old, depending on whom you believed. Placed side-by-side with the recently discovered Judith Beheading Holofernes, the infamous marble sculpture known as the Getty kouros offers a timely reminder of the power of instinct over even the most gritty and granular of scientific analyses. Without lifting the crudest magnifying glass and without plugging in a single piece of cutting-edge reflectography equipment, one can immediately detect the shared problem with both the Getty forgery and the attribution to Caravaggio of the recovered canvas from Toulouse: they’re not beautiful. 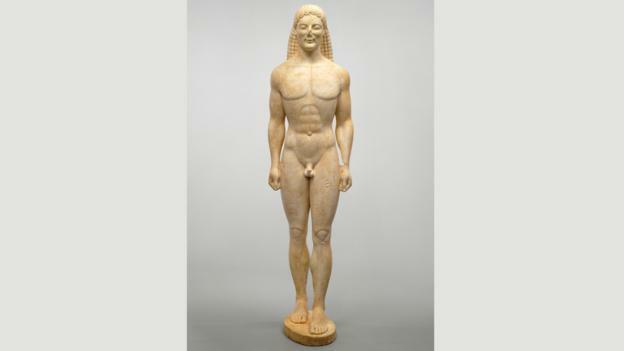 Those who initially defended dating the Getty statue to “around 530 BC” (thus making the work one of only a dozen such treasures to have survived), pointed to the discovery of a calcite crust that had formed on the marble – a patina that only great age could have wrought. Doubters, meanwhile, admitted into evidence the clumsy counterfeiting of documents (some bearing impossible addresses) that accompanied the purchase of the statue for $9million (£6.3million) in 1985 and to the bizarre mish-mash of styles that appear to pit the braids of the subject’s hair against the contours of his hands and thighs, as if the confused work had been carved by a tag-team of artists across different eras and regions. But such deep analyses on both sides overlook the obvious: the statue lacks what the Romantic writers John Keats and William Hazlitt called “gusto”: a chameleon power that no gizmo can empirically measure and no amount of research can adequately plumb. A work of art either has it or it doesn’t. The Getty kouros doesn’t. Nor, in my opinion, does the Toulouse Judith – at least not to anything like the degree necessary to believe that the painting is by the same brush that slanted the shadows and ignited with soulful fire the expressions depicted in the scenes from the life of Matthew in the Contarelli Chapel in Rome. The figure of Judith is strangely nonplussed given the unpleasantness of the messy task at hand: the splurty business of sawing through the neck of the drunk Assyrian general Holofernes, whom the widow suspects is plotting to destroy her home. Unlike a known version of the same scene by Caravaggio in the Palazzo Barberini in Rome, the composition of the newly discovered canvas is disjointed and casts its awkward actors out of sync. Might it, I hear you ask, just be the work of Caravaggio on an off day? Now that didn’t feel right, did it? 100 Works of Art That Will Define Our Age by Kelly Grovier is published by Thames & Hudson.